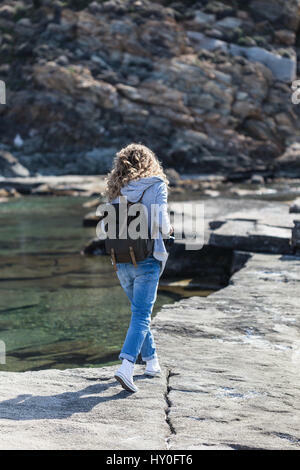 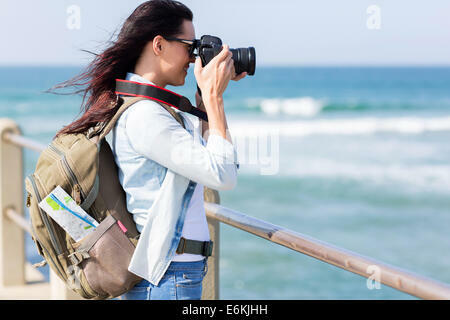 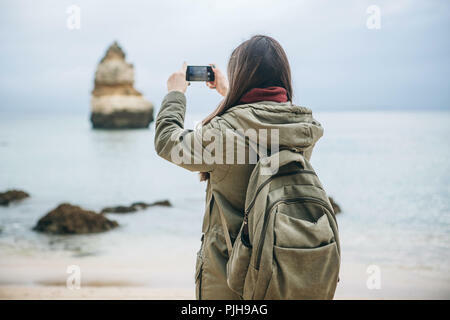 Girl tourist with a backpack photographing a beautiful landscape standing on the Atlantic coast. 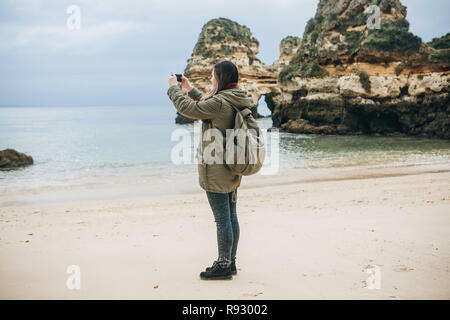 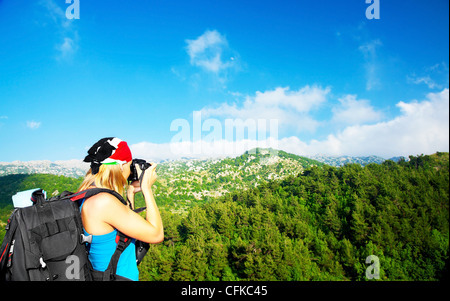 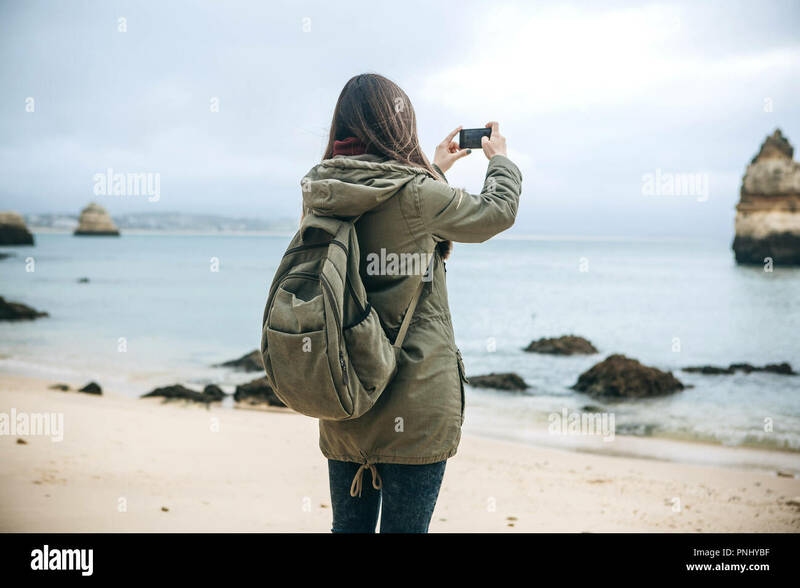 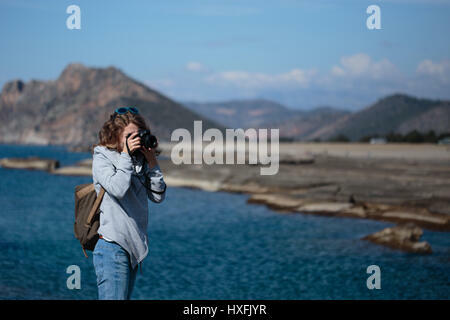 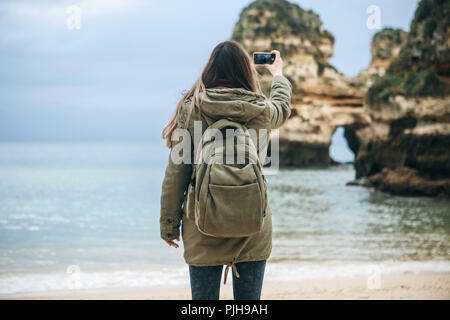 Young tourist woman taking a photo of landscape. 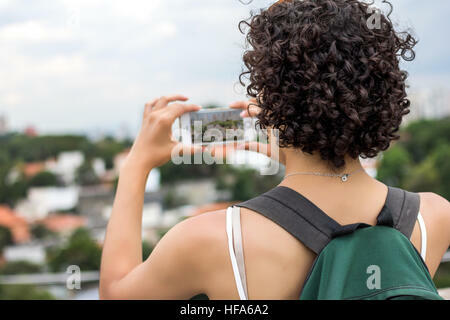 Girl with beautiful short curly hair taking pictures of a city. 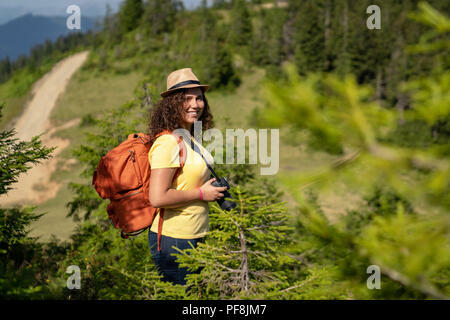 Using green backpack.